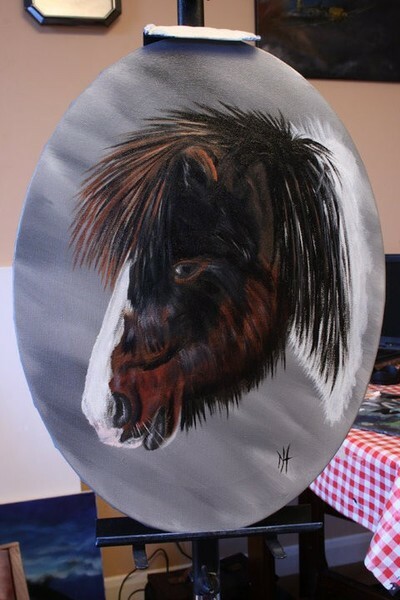 12" x 16" oval stretched canvas in oils. 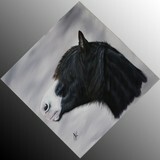 Misfit is the adoption horse at Redwings Ada Cole, this painting was donated to them this year. I love this. Reminds me of my childhood pony.